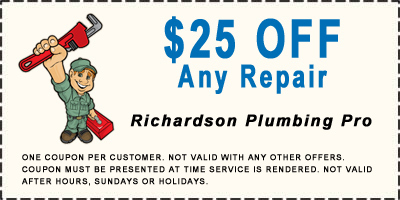 At Richardson Plumbing Pro, we respect your home or business as though it was our own. 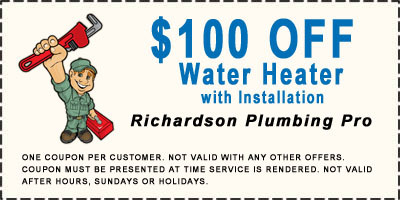 Don’t wait until it’s too late to address Richardson plumbing issues making it more expensive to repair in the future. At the first signs of noisy, banging, squeaky or leaking pipes, call the professionals at Richardson Plumbing Pro. Our major focus is providing our customers with the Richardson plumbing service that they expect and deserve, when they need it. 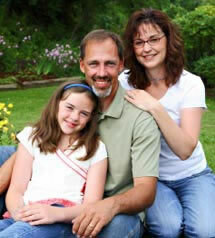 We provide our Dallas area customers with reliable quality service. We can give you options and are happy to provide plumbing recommendations. We are methodical in our approach to your home’s functionality and above all, your comfort. Our motto is: You can be assured the job will be done right the first time, at a reasonable price. 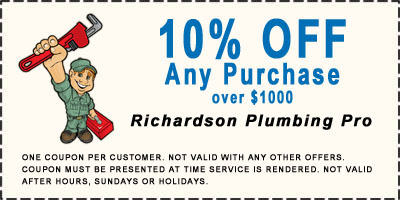 We provide the highest quality Richardson plumbers for the job. 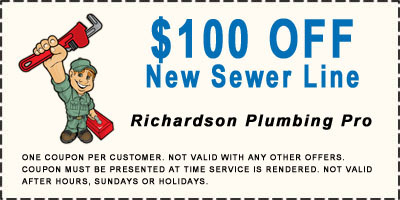 Richardson Plumbing Pro is a state-of-the-art plumbing solutions company providing good, old-fashioned neighborhood plumbing service at affordable rates. All of our work is guaranteed. We strive for 100% customer satisfaction in every job we take. Our goal is to build long term relationships with our customers. So, if you ever need any other Richardson plumbing expertise and help, you can trust the professionals at Richardson Plumbing Pro. You will find no other plumbing contractor in the Dallas area better set up to handle your emergency and urgent plumbing needs. No matter the time of day or night, you will speak with a live specialist over the phone. We are committed in our effort to respond to any repair need to fit your busy schedule. Whether you need water heater service, leak detection or simply to put an end to a leaky faucet or running toilet, no job is too big or too small. We cater to both commercial and residential customers in the Dallas area quickly, effectively and efficiently. We know you have choices, and we know you expect the best. Contact us at 972-546-2974 for an estimate today. Plumbing is a learned skill, and often mistakes are made because the home handyman does not have the knowledge of the proper tools, compounds or pipe for the job. All plumbing systems get clogs eventually and a lot of time can be saved on a plumbing job if you follow a few simple rules. You can fix the Richardson plumbing problem by yourself if you have the right tools, know the technique, and you are prepared to do it. The tools aren’t all that expensive, and sometimes can be rented, but if after a few attempts you can’t get the clog loose, call your trusted Richardson plumber today. Want to know what it costs to have an expert Richardson plumber complete your home plumbing project or plumbing emergency? We are the ones to call. You have choices when selecting products and plumbers. We want the opportunity to earn your business. Our plumbers are happy to give on-site estimates so you can weigh your options and know the cost in advance. If you like the price, they will be prepared to fix it then and there. The market today has quick-connect fasteners for every plumbing need. They work well with almost every kind of pipe. 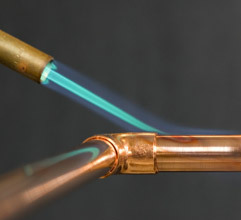 These connectors remove any chance of leaks, eliminate the need for high-temperature propane torches when working in a confined space and eliminate the learning curve for soldering. Like quick connect fasteners, compression fittings are very easy to use. As its name implies, the fitting is compressed against the pipe with such force that it forms a water-tight seal. Compression fittings have become a standard in Richardson plumbing (primarily used for faucet and toilet stops) due to their ease and reliability. They also allow supply lines to be quickly changed. There once was a time when the bathroom was intended for quick and simple convenience factors. Over the years, the bathroom has evolved into a room for not only convenience but also for homeowners to handle routine grooming and express their decorating flair. As far as fixtures are concerned, the tub, toilet and sink are still standard for most bathrooms, but today's bathrooms are also featuring larger, more lavishing tubs, extra-large stand-alone showers, double sinks and fashionable toilets. Call the Richardson plumbing fixture installation experts today for help with your bathroom or kitchen update. Also see our Plumbing Tips for Selling a House. Now is a great time to drain and flush your water heater. This simple project will improve the efficiency of your water heater and increase the life of your tank. Simply install a garden hose to the bottom drain valve and let it run for several minutes (use caution because the water will be very hot). This simple action will remove sediment build up allowing your tank to heat better. Our Richardson plumbers arrive at your home or business with trucks that are stocked with the parts and supplies they will need to repair your plumbing problems quickly and efficiently. Why settle for a plumber that needs to run to the supply warehouse to get that common part.